The mod currently adds an arcade machine, coins, and tickets to Minecraft. The only game playable right now is Snake and Tetris, but there will be more in the future. The coins and tickets are used as a currency. Coins are inserted into the machine to be able to play (Can be disabled in config). Tickets have a temporary usage of being crafting back into a gold nugget. - More games (Donkey Kong, Space Invaders, Super Mario Bros, etc.) If you have any more suggestions let me know! Visit the Wiki on GitHub for crafting recipes and more info! This mod is open source and can be found on GitHub. Please respect the terms of the GNU GENERAL PUBLIC LICENSE. If your game crashes or there are any bugs that you find, please report them on GitHub. This mod is open source, there is no need to ask for permission to use with your modpack. This mod has been created by SuperHB (also known as JustKilling on PlanetMinecraft). By default, the Arcade Mod may only be distributed on MinecraftForum, PlanetMinecraft and CurseForge. It may only be mirrored or reposted with advance written permission of SuperHB. Electronic Mail is fine if you wait for a response. URL shorteners or other attempts to make money off SuperHB's Mod are strictly forbidden without advance written permission. If you find any website or person doing this, please notify me. No copyright or trademark infringement is intended. All assets and code are made anew by SuperHB (also known as JustKilling on PlanetMinecraft). Any and all copyrighted and trademarked names, brands, etc. belong to their respective copyright or trademark holders. Just figured I'd drop a friendly note here to let you know I've added this mod and a link to this page to the FAQ topic with what mods we are using for our server at CityCraft. I simply love this mod! I can't believe I didn't played it until now. I love the mod but I have a question, is the recipe for the prize counter disabled for a specific reasson in the 1.12.2 version? If not I might have found a bug. Yes this is a bug, I forgot to add the recipe. This will be fixed in the next update, or you can add this file to the 'recipes' folder inside the jar file (assets/arcademod/recipes). Sorry for the inconvenience. Thanks for the response, I better wait for your update, since I actually have a nice and weird modpack going that I dont want to mess up by fiddling with the jar. Why don't you try to add Raiden(or other STGs). What are the rules for the handing out of tickets - tried a few games, got some tickets, but no idea what gives more tickets and how much. Beating high score ? Just playing ? I notice that the config file has exchange rates for tickets to items - how do you hand them in / use them ? On the wiki, you can find how tickets are given out for each game. Definitely liking the idea of penny pushers and the like being added. Perhaps claw machines too? If it can actually be played that would be a big plus. Mainly it should have some of the style of the Penny Arcade mod, which was my absolute favorite. Btw, I could add other mob plushies to the game if you'd like. Edit: Nvm, seems way too complex. Might need your help to figure this out. 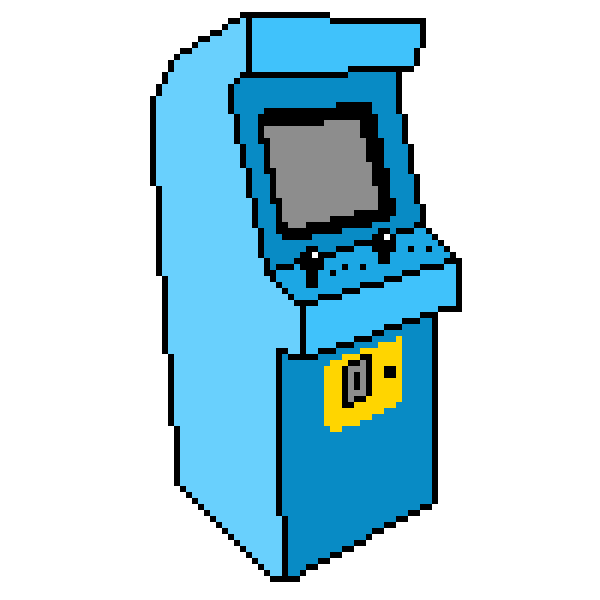 I plan on adding a claw machine and penny pusher where you can properly play it later on. Sounds cool! I am definitely looking forward to this. Will make my next arcade so much better. Apparently this mod does not work on servers... wish I had tested it before just assuming that it would. Made a whole arcade casino that now has to get scrapped. How about "E.T. The Extra Terrestial" but make it look much better than the Original. I’m not an artist (as you can see by the old arcade machines and it’s also y the new ones are just solid colors) so it’ll probably turn out the same. I’ll add it to the list though. Could you add the Bubble Bobble game please?